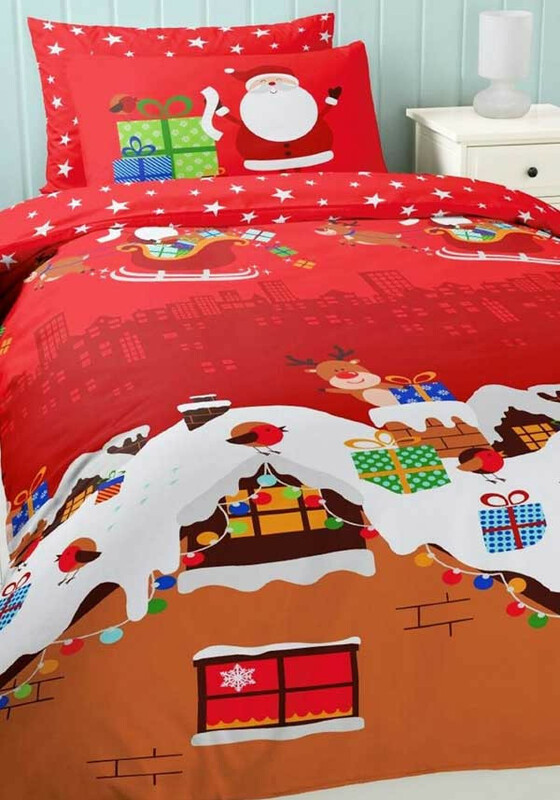 Super festive, this gorgeous duvet cover by Catherine Lansfield features a Christmas scene – Santa delivering presents, and Rudolph helping! Perched on the roof, cartoon Santa looks jolly, with his list in hand. 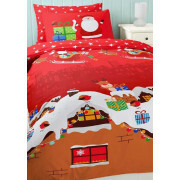 Complete the christmas bedding set, with the matching velvety Rudolph cushion.